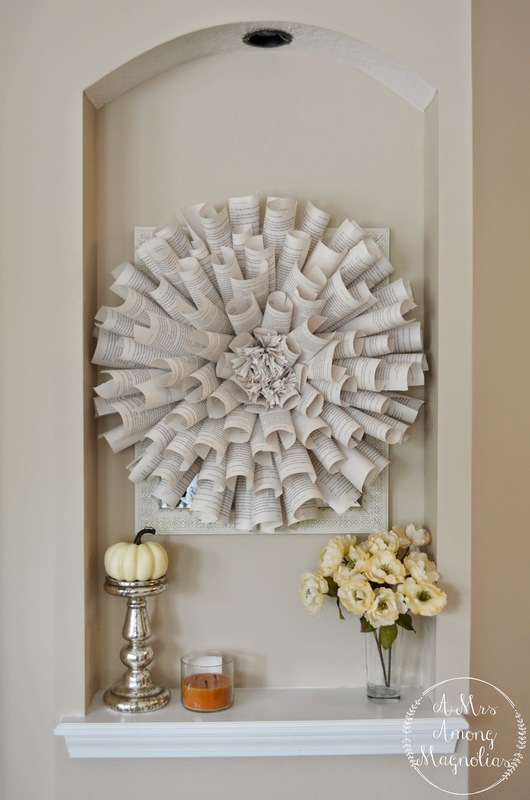 After I made the first wreath made from book pages, I still had plenty of left over pages, and I didn't want them to go to waste. 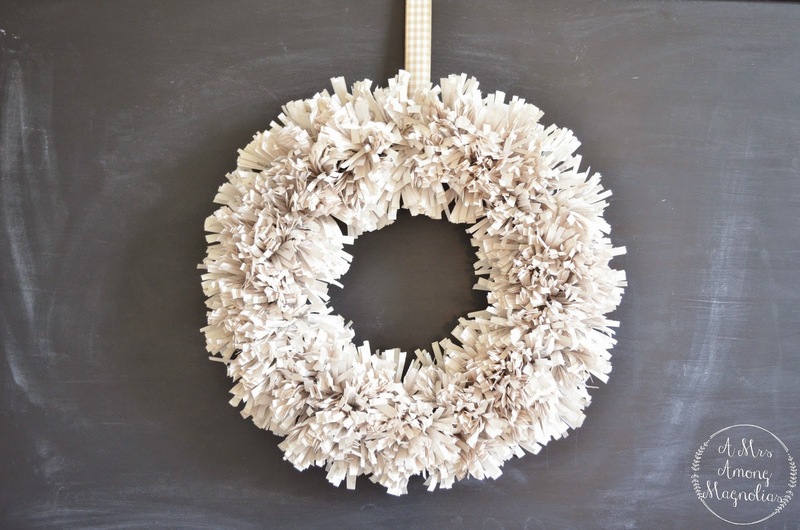 From that came the pom pom wreath. It took much longer than the first wreath, but in the end it was well worth it. I love it! Im thinking of making a silver one for christmas. Here is the first wreath that I made, I'll share a tutorial on that soon! The book that I used was roughly 350 pages long, and I used every single page through all my crafting projects. Now repeat about another 75 times! Before I started adding the glue I would put them on so make sure they filled it in enough. Each section of the wreath has about 13 pom poms. 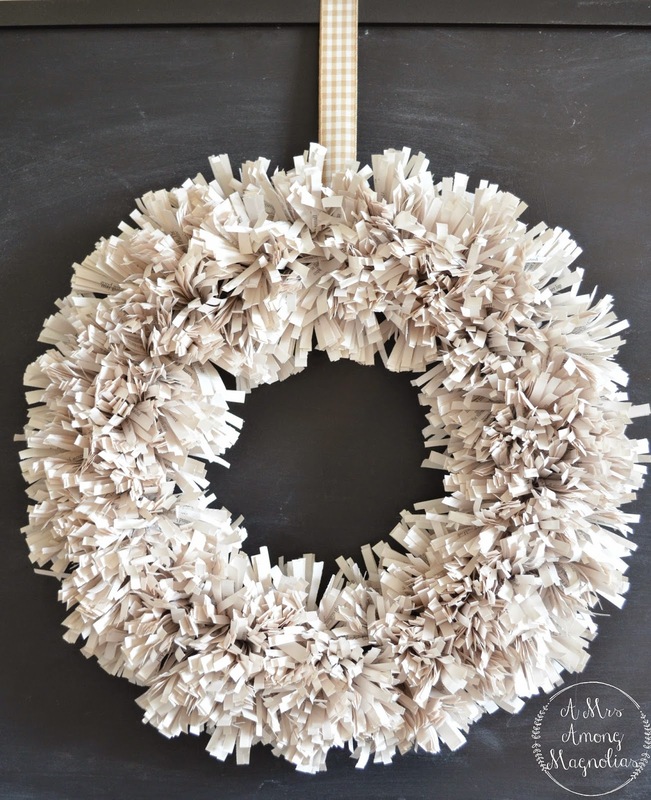 Then I started hot glueing the pom poms to the metal wreath. I would place a strip of hot glue all around the pom pom right where the cuts I made stopped. 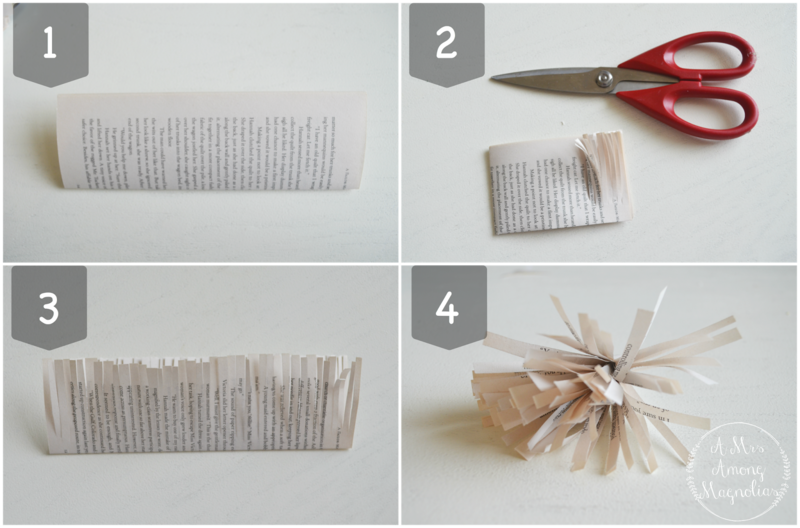 Then put in through the openings and let the hot glue adhere to the page. 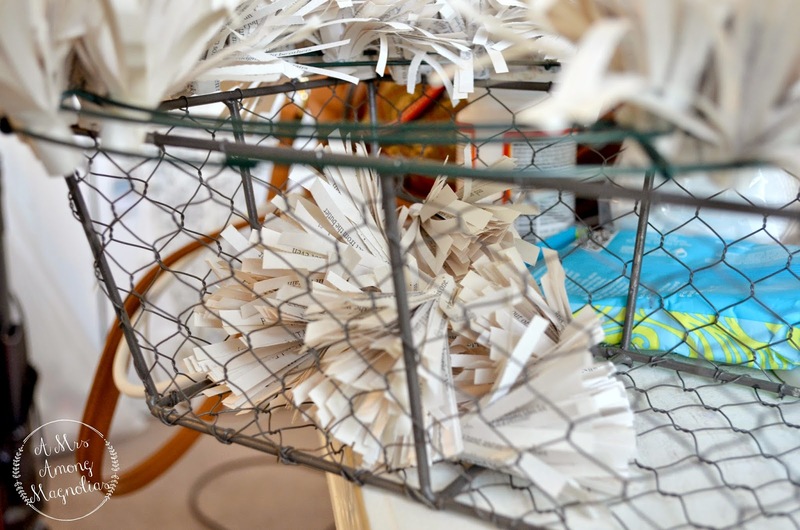 My hand would get tired, so I would rotate between hot gluing and cutting, so I had a basket for all the pom poms. I used it on my desk for a while until I found some ribbon to hang it up with. Now it is hanging in my office on my chalkboard. 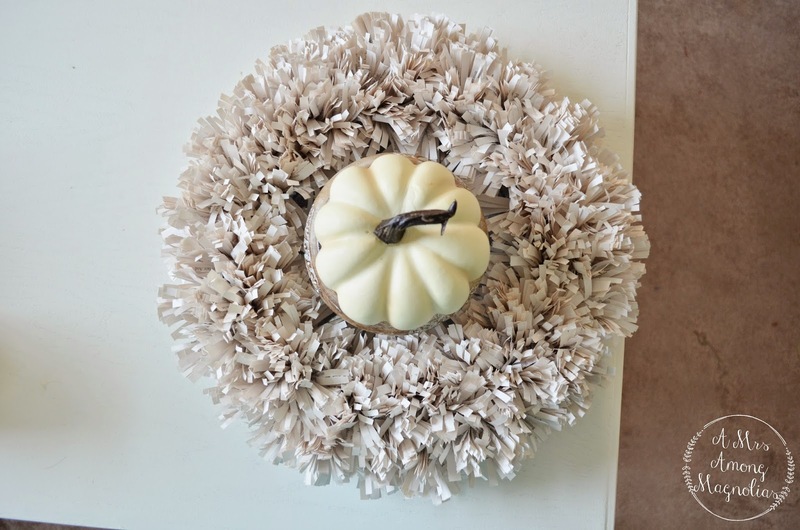 Once I found the deer head, I thought it would be a prefect addition for fall! To see how to make this chalkboard, head here. 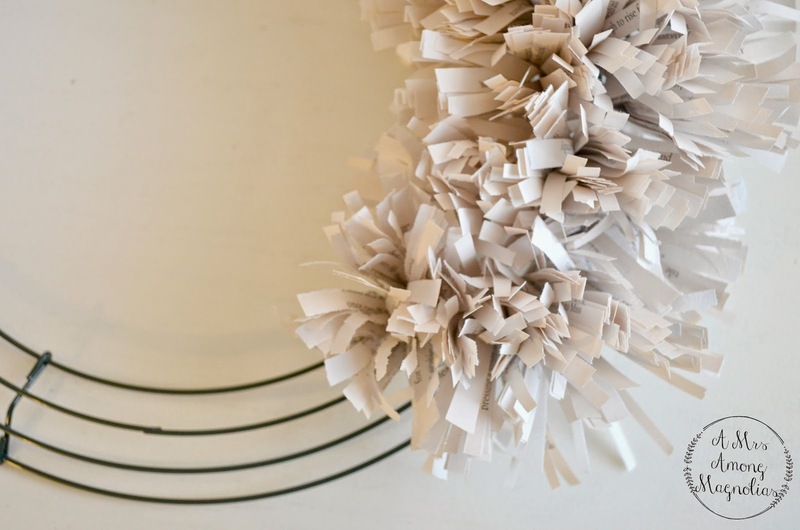 Now, go grab a book and your hot glue gun and get your pom pom on! !